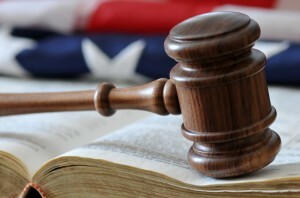 blog home Military Defense How Do You Choose the Right Desertion or AWOL Defense Lawyer? How Do You Choose the Right Desertion or AWOL Defense Lawyer? “AWOL,” or “absent without leave,” is a military term that has found its way into the everyday civilian vocabulary. For most civilians, “going AWOL” has no consequences; their friends might find it “weird,” but there is no actual penalty. This is not true for servicemembers. Military courts consider AWOL and desertion to be crimes and pursue them accordingly. Desertion and AWOL are serious charges for any military member to face. Because the military courts take these charges seriously and prosecute them vigorously, it is crucial for any military member facing such a charge to have an experienced and aggressive military criminal defense attorney on their side. Does this attorney have experience with desertion/AWOL cases? Military law differs from civilian law in key ways. Your attorney should have experience with cases prosecuted under the same law, rule, or regulation you are accused of breaking. Is this attorney unafraid to tell me the truth? No attorney can promise a particular outcome in any case, so think twice about one who “guarantees” a particular outcome. However, your attorney should be willing to thoroughly explain the charges you face and the possible consequences, even if they are unpleasant. Your attorney should also answer your questions to your satisfaction. Does this attorney have military experience? Military experience gives military defense attorneys firsthand insight and experience. Military and civilian laws differ greatly in some ways, and a proper defense against a military criminal charge often requires a nuanced understanding of military culture and rules. An attorney with this experience can offer the insight you need to build the strongest possible case. California-based military defense Attorney Joseph H. Low IV is a former Marine who fights aggressively for the best possible outcome for each client he represents.